Does winter have you down now that the holidays have passed? Start planning for summer and reserve your week at camp! Try out our new online registration system. Can’t wait to see you this summer! There’s still time to get an Early Bird discount for next summer! Give a child in your life an experience that will not only teach them to appreciate the outdoors, but also teach them about the Creator who loves them. Hurry and get a week of camp* for $260 before the cost goes up to $350. I arrived in the capital, Addis Ababa, Ethiopia on New Year’s Eve and have been working in a Christian hospital and medical school. I primarily work in the ER teaching doctors, nurses, and students, and taking care of patients as well as teaching some courses in the medical school. Even though teaching here, I have also learned a lot, especially about diseases we don’t have or that are very rare in the US. Ethiopia is still quite poor and that means people get sick more often and cannot get the medicine they need like we can—it breaks my heart. Being away from home for a full year has been difficult. I miss my family, my friends, and of course, my cats. I also really missed being at camp this summer. I know without a doubt that this is where God has called me for the year to show the love of Jesus through my teaching and by serving others. Many days this summer the temperature in the dining hall went above 95°F and stayed there. We want to make the dining hall a more comfortable space to serve our meals to campers and staff. We plan to install a ceiling and insulation to bring the inside temperature down and make our cooling efforts more effective. With an estimate of $11,000, and a matching funds offer of up to $5,500 this is a doable project. To help us reach a goal of $5500 please visit our online donation site to donate or contact the director for more information. And God is able to make all grace abound toward you; that you... may have an abundance for every good work. It was an exciting summer and great to see how God provided for our every need. Our camper numbers increased and that meant that we needed more counselors than expected for a couple of weeks—God provided the exact amount of staff needed for each week! It was wonderful to welcome new staff and former campers or staff to fill the needs. Other notable things we did included partnering with Prison Fellowship to be an Angel tree camp, used our new nature center, played on the new sports court, and tried belly bumpers along with all our traditional activities. I was a camper here, and it had a big impact on my life, so glad my child could experience this place. So glad for the friendships made and the spiritual emphasis. Another parent who was a camper said, Thank you for making this great for generations! Overnight camp was such a huge step for [my daughter] and a time of personal growth, thank you for encouraging her. I recommend this camp because of all the skill building activities and each child is so different. Thank you for providing a place where she felt loved and safe to be herself. So thankful for the independence gained. I love hearing how lives are being changed for eternity. Please continue to pray for us that God’s work here will continue to grow campers and staff and give God the glory! My second year of camp…I loved being outside and building campfires to cook doughboys and tinfoil dinners. To this day, wood smoke and bug spray are some of my favorite scents. My first year of CILT the theme song was Anchored in Jesus. I met some counselors that summer that challenged me to grow in my faith and boldness of following Jesus every day. Finally made it through CILT! Teaching classes, giving campfire messages, memorizing scripture, living in a cabin under another counselor..all experiences that I think of every time I hold a candle at CILT graduation. I was so happy to earn this shirt and be able to pass on the Cherith tradition of faith to other campers. I was a Pioneer Girl and heard all about summer camp from Dee. She and my other leaders encouraged me to make Christ a part of every aspect of my life. I think I was 12 or 13 when I was finally able to take a Stars class with Puff. She helped me gain a whole new appreciation for the night sky. Now I am teaching my own kids about the Summer Triangle, Big Dipper, and Milky Way. I wore this shirt while living in the woods for a week with 2 other campers, Mouse, and Hermi. We had a grand time and made up songs to go along with our experiences. I had to complete a week of outposting to achieve a major in campcraft/outdoor living for CILT. My last summer as a camp counselor before I graduated from college. Some of the campers I had in my cabins were now counselors themselves. It was so much fun to be on staff with them. I love the closeness we develop after spending a summer together working towards the same goal to guide campers closer to Christ. This summer, 3 of my daughters were able to come to camp and had a great time. I hope one day I will get to see them continue on in God’s good work at Camp Cherith. 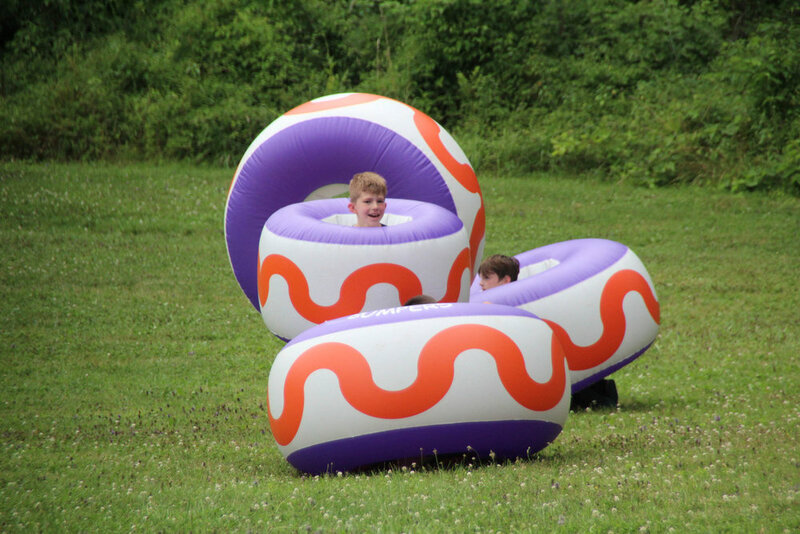 Did your child love their week at Camp Cherith? We hope so! We certainly had a blast teaching them God's Word, about His creation, and other valuable skills. 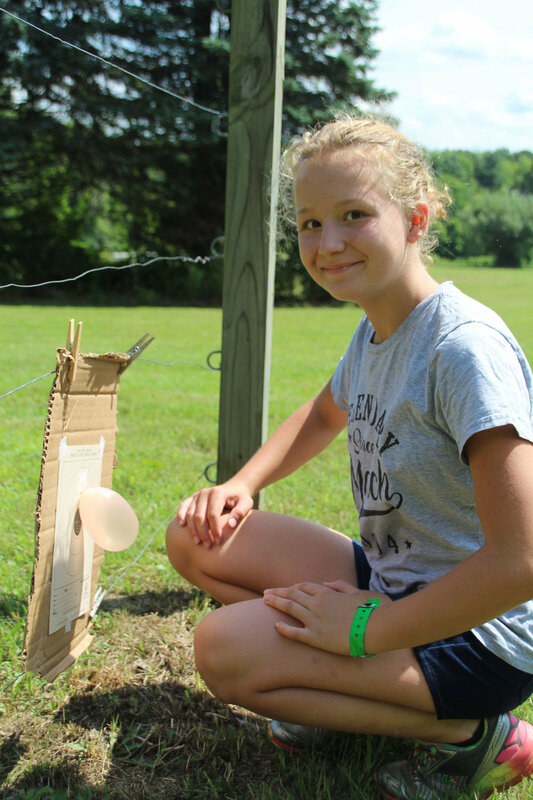 Perhaps you already know that you will want to send your child to camp again next summer. We have a special offer to those who sign up for camp before December 31! Reserve a spot early for Summer 2019 and only pay $260 per week. Payments can be made in full or on an installment plan. In January when summer registration starts, reserve the specific week you desire. Hope to see you back again next summer! Join us Friday, July 27 at 8 pm for our Counselor in Leadership Training graduation campfire and ceremony! Our 5 campers have been working hard the last 2 years preparing to become leaders. This event celebrates all that God has been doing in their lives, growing them to this point. Stay after campfire and gaze at the beautiful night sky! Can you find the Big Dipper over our pond?